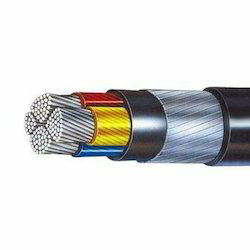 Vraj Engineering is one of the leading supplier of cables and wires in India. With our customer’s centric & quality centric approach, we have been able to achieve a trusted & reliable name in the market. 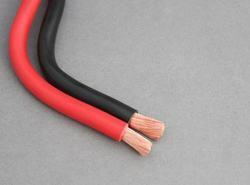 We are providing PVC Flexible Cables, House Electrical Wires, Welding Cables, Submersible Flat Cables, Copper Electrical Cables, HT & LT Cables etc. 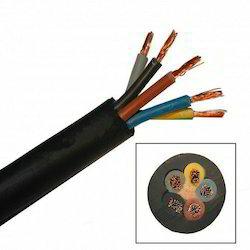 We are offering PVC Flexible Single Core Multi Core Cables with working valtage 450/750 V as per IS 694/2010. Single Core to 4 Core - 0.5 sq. mm. to 240 sq. mm. 5 Core to 24 Core - 0.5 sq. mm. to 4 sq. mm. Applications: Reeling unreeling, Trailing, Festooning, Mobile Machines, Coal Handling and Conveyors Belts. Deg C. Min. Working Temp. 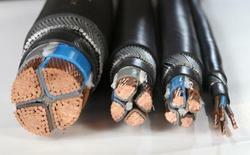 Looking for “Cables & Wires”?